The SoundPeats Q8 Aptx are well-designed, wireless in-ear headphones with great bass and very low leakage regardless of volume. Unfortunately, the in-ear fit may not be comfortable for everyone. 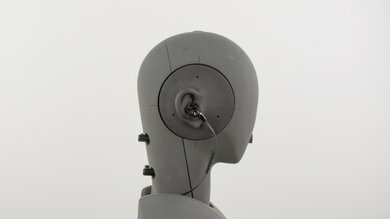 They may sound a little sharp, and they only provide passive isolation. 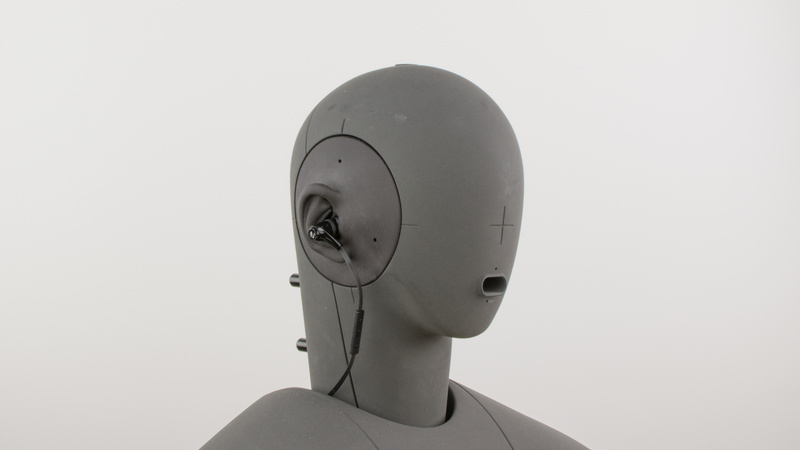 In-ear design is not comfortable for everyone. May sound too sharp with some tracks. The Q8 have a sleek wireless design. They are very light and offer a control scheme with decent functionality. 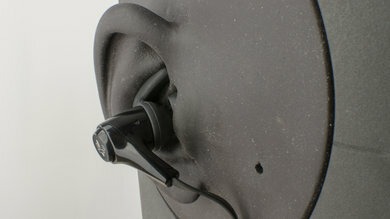 However, the in-ear fit may not be comfortable for everyone, and the buttons are small and don't provide great tactile feedback, which is slightly disappointing. The SounpPeats Q8 look great. 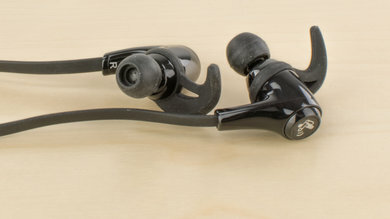 They have an all-black color scheme with a glossy finish for the in-ear buds. The stability tips give them a sporty aesthetic that works with their wireless design. Multiple tip sizes are included. 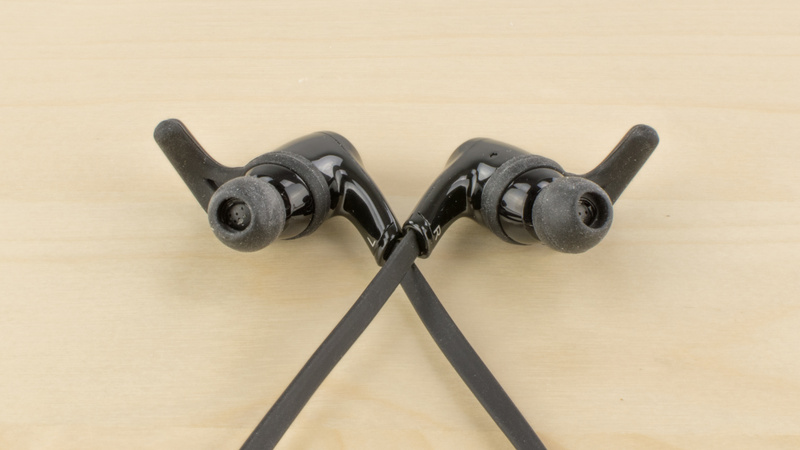 The Q8 fit like regular in-ear headphones. They come with additional tips for better stability, which adds a little to their comfort level. However, if the fit of an in-ear design is uncomfortable for you, you will experience the same issues with these headphones. 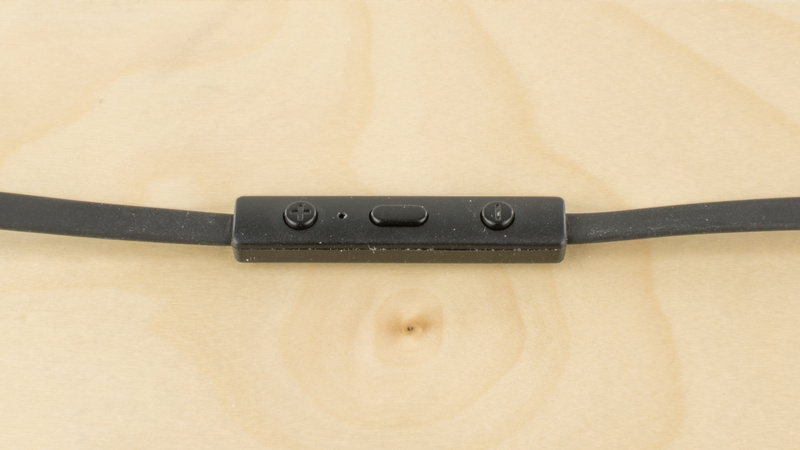 Button layout for the SoundPeats Q8 is functional and efficient. 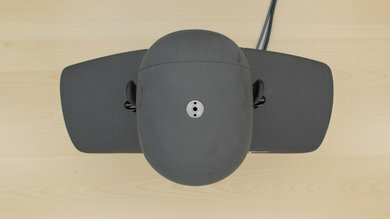 They provide call/music, track skipping and volume controls. Unfortunately, the buttons are a little small and do not provide good tactile feedback. The Q8 like the QY8 are very stable headphones. They offer a variety of stability tips that prevent the headphones from falling while doing sports. They're also wireless and are less likely to get hooked on something and be yanked out of your ears. This makes them ideal for use at the gym or while doing high-intensity exercises. 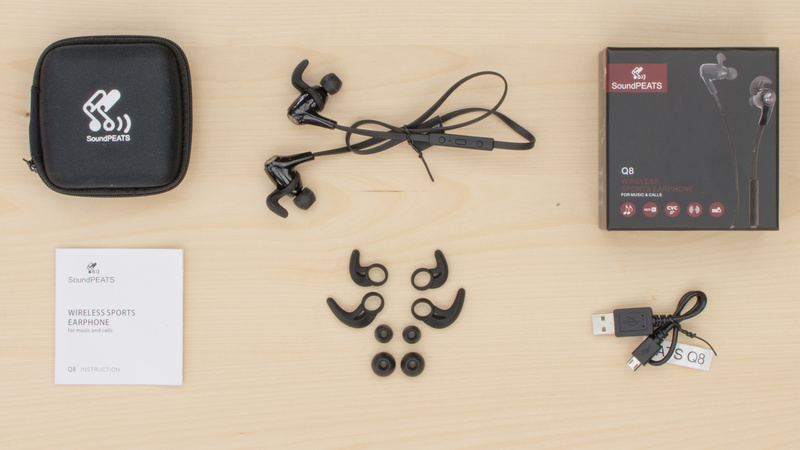 The Soundpeats Q8 are incredibly portable in-ear headphones. They will easily fit into your pocket, purse or bag. There is no specific way to fold them into their most compact format but thanks to their wireless design there's not much cable to fold, which takes even less space. The in-ear buds are a little large than typical in-ear buds, but they're not large enough to be cumbersome in any way while transporting them. Comes with a sturdy, soft pouch that will protect the headphones from damage and has enough space to carry all the additional tips and gear that are provided with headphones. 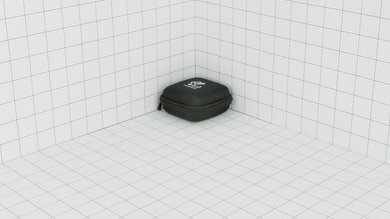 However this adds a little bit of bulk to the headphones, but the case is till small enough to fit in a pocket. Build quality is decent. The ear buds feel dense, if a little larger than usual to house the wireless technology. The only cable that links the two ear buds is rubberized and flat, which is a plus. However, they do not feel as durable as an over-ear or on-ear design and the cable could be a weak point susceptible to wear and tear. 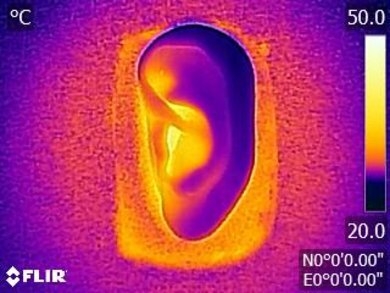 Passive isolation is surprisingly great with the Q8. They do a decent job isolating you from higher-frequency noise but because they only offer passive isolation, they do not block the lower-frequency rumbles of a train or plane as well. On the upside, they barely leak any sound no matter the volume. Average isolation. 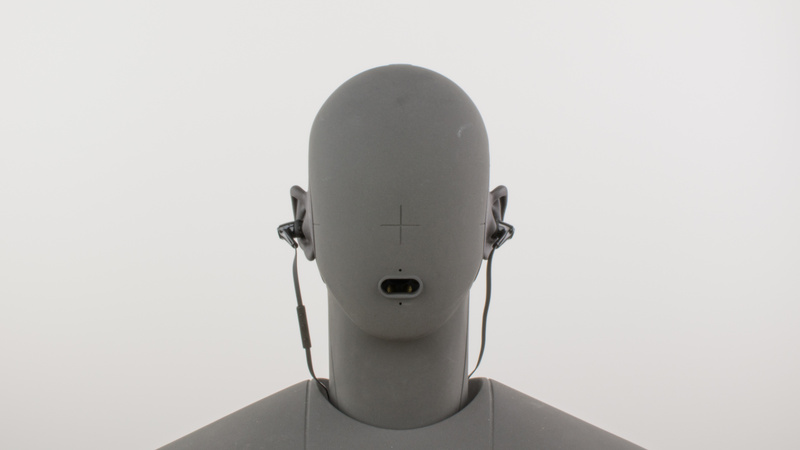 These headphones don't have active noise cancelling, however, the passive isolation provided is quite impressive. It provides more than 45dB of isolation in the treble range and about 20dB in the mid range. It should be noted, however, that most of that isolation is happening in the high-mid range and as the frequency lowers the effectiveness of the passive isolation decreases. The isolation provided in the bass range is negligible. Excellent leakage. Listening at loud volumes should not be an issue in most situations. The Q8 support aptX which gives them slightly better audio especially for their already relatively low latency. Unfortunately, they have a poor wireless range and subpar battery life. They take surprisingly long to charge. 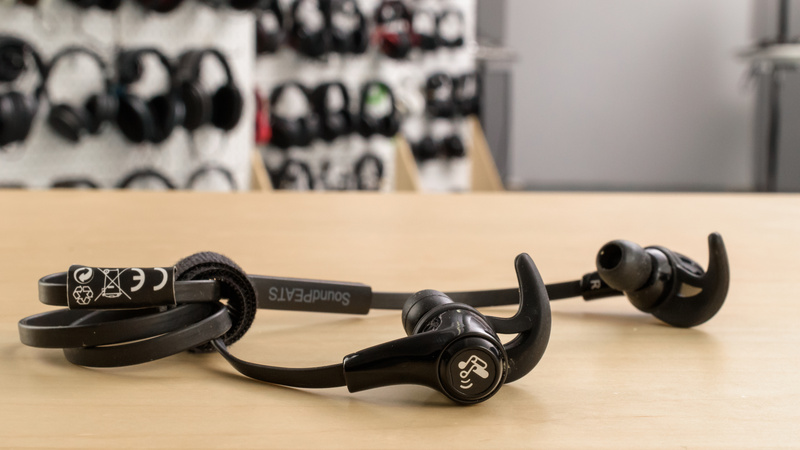 They won't be the ideal headphones for gaming or watching videos and movies, but for audio, only the latency shouldn't be an issue. The Q8 have a below-average wireless range. They won't be ideal if you have a big house or work in a large office with a lot of walls as their range barely reaches 25ft. They don't have a good line of sight range either and won't be the best wireless option if you don't like to carry you Bluetooth source on your person. 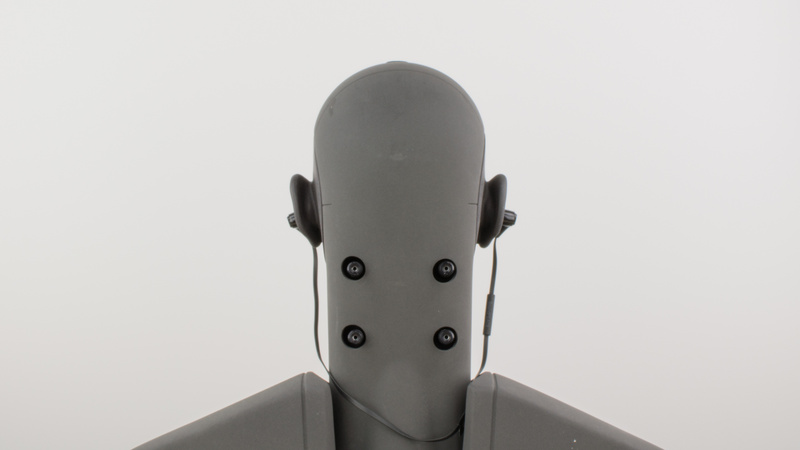 They're also not the easiest to pair, and they don't offer NFC but produce decent auditory feedback with an automated voice instead of just beeps and chimes. The Q8 have a below-average battery life. 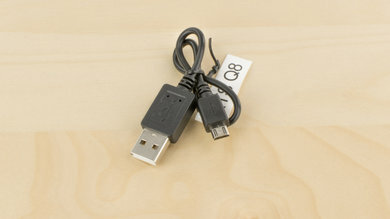 They do not last very long on a single charge at casual listening volumes they also take surprisingly long to charge for an in-ear headphone, but on the upside, they can charge and stream audio at the same time which comes in handy if you're at the office and have access to a power outlet or USB port. The Q8 are a good pair of every day in-ear headphones. 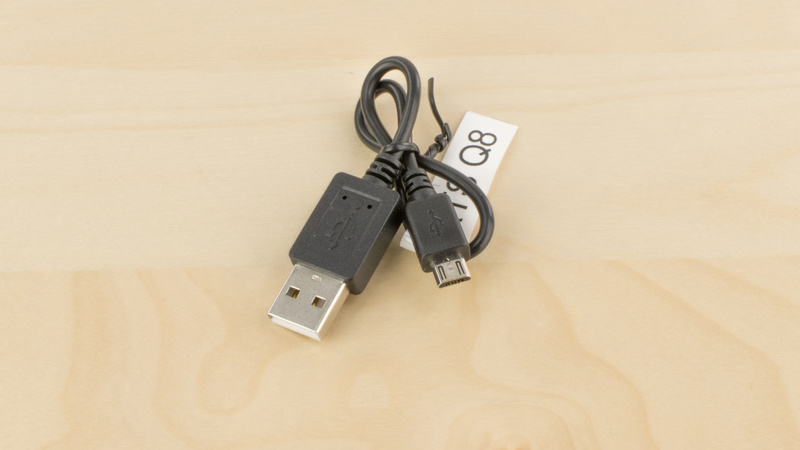 They're sufficiently versatile for most use cases and have a compact, wireless design. They also have a decent enough audio reproduction to please most casual listeners and the high passive noise isolation is a plus in loud environments and for commuting. Decent for critical listening. They have a good reproduction of the bass, mid and treble and are much better balanced than the latter QY models on the same brand. However, the closed in-ear design isn't the most immersive for critical listening. The Q8 are great headphones for sports. They're wireless, easy to carry around and deliver a stable in-ear fit. Also, their passive isolation will block the ambient noise of a gym but might be a bit too closed for runners and bikers that have to monitor their environment for cars and traffic. Suitable for office use. They don't leak much and will isolate you from the chatter of a busy office. Average for home theater use. They have quite a bit of latency even with aptX enabled. This will cause slight synchronization issues which are not ideal for watching videos. They're also not as comfortable as some other in-ears to wear for long listening sessions.